Stephane Clavel give a rare interview talking about the ethos of Virtual DJ, who he strives to keep his software ahead of the game, and what he thinks the future holds for DJing. With Virtual DJ continuing to hold its own among the big DJ software names, and with Virtual DJ 2018 introducing a host of features that haven’t been seen in DJ software before, we caught up with Stephane Clavel, the company’s flamboyant but enigmatic founder, for a rare interview. 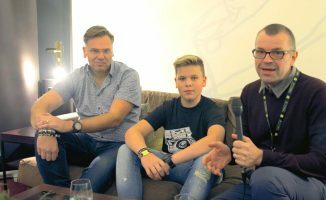 In an interview with our founder, Phil Morse, Stephane talked what makes Virtual DJ different, new features for 2018, and what he thinks the future of DJing will hold. Stephane: Happy to be here and happy talking with you. Phil: So tell us, Virtual DJ 2018, we know about it, we’ve reviewed it, but some people watching this won’t know what the big new things are in your software. Maybe you can just give us a quick rundown of what’s new? Stephane: Well, every year we try to push different fields and different parts with new innovations. This year, we definitely pushed much more on the video side. And when I say video, I don’t mean like mixing music video, I mean doing video for people who are mixing audio mostly. And we’re trying to help people create a show out of their DJing experience. And we think that DJ should be more than just putting audio tracks, and it should be a full show, and we had them put the show together. Whether it’s in the club on screen, or whether it’s on the social media platform. Now it’s very trendy to broadcast yourself on YouTube and Facebook, etc. Phil: So more about the visual show than playing music videos, which is a good distinction to make for people who aren’t sure what you mean by this. And like you say, it’s quite trendy at the moment, right? There’s lots of innovation going on in DJ lighting as well, which is all part of the visual stuff. Stephane: So, the main idea is we wanted to help the DJ bring the audience in, as if they were standing in the booth behind them. And because it’s very good for the patrons of a club or party or whatever. Everybody wants to be a DJ, everybody wants to understand what the DJ’s doing, but they’re in the club and they just listen to the music. So, we made this feature where, whether the DJ is mixing on the big screen in the club or in the bar, people are going to see some cool and good-looking representation of what the DJ is doing. If he’s putting some effects, if he’s putting a loop, what song is playing now when he’s mixing so that people can be drawn into the mix and feel like they’re not just listening to it, they’re understanding it. Phil: So this is really interesting in this world of Twitch and gaming being streamed online and stuff, it’s almost making DJing a bit more like watching a gaming video, really, but you’re watching a live DJ video as well, right? Stephane: Yeah. I mean, in the club, a lot of people would love to look over the shoulder of the DJ, they just don’t do it because you cannot fit all of them in the DJ boothQ But it’s always been interesting for everybody to see what the DJ is doing. And also for the DJ, puts him more as a person of interest in the club and not just the guy who put the music that nobody cares about. Stephane: Yeah. Especially in 2018, social media is more and more important. To grow as a DJ, you need to build followers. And right now, nowadays the way to do this, it’s to build a social media presence. So, every DJ knows you need to be on Facebook and you need to have followers and they need to start to listen to you. So, we decided to make Virtual DJ help people do this by giving you very easily, just a click of one button in the software and you are live on Facebook, and you can start to play your favourite routine or just a full session for your audience to try to help build your fame and help become famous on Facebook and YouTube by getting huge followers. And then you can just go to the club owner and say, “I have two million followers on Facebook who listen to my mix every Friday night, do you want me to play in your club?” And it’s much easier. Phil: Probably a lot easier at that point to ask for the gig than to find two million followers, Stephane, but you’ve always been an optimistic guy, so I like that! So, of course the visuals side of it, combined with the ability to stream very easily, take the two of them together and you’ve got all the parts you need to share something that looks great on social media, right? Stephane: Yeah. Well, the latest innovation that we put is because on this, there is a big difference between the US and Europe, actually. In the US, more and more DJs are playing videos. In Europe, nobody’s playing video. And because we don’t want European people to be left out, we also decided we need to do something for people who play only audio tracks so that they can have something to show on screen. So, we actually made an integration with a specialist website that’s been used mostly by the hacker community and the brightest mind in programming, they’re all there doing competitions of who’s doing the most beautiful visuals. And it’s kind of lost to the world because it’s a very small circle. 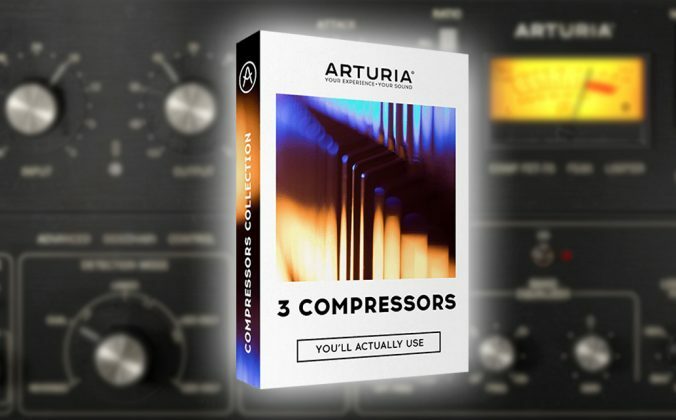 So, we tapped into this, and now you have thousands and thousands of amazing visualisation that react on the music that nobody was using before. So, now it’s a click of a button and it’s easier for DJ to add such visual to their music. Phil: It’s funny you should say that, something from the hacker community, because the way that we’ve always kind of told the Virtual DJ story here. On the one hand you have the well-marketed, very licensed, locked down kind of software in DJing, and then you’ve got Virtual DJ, which is very fast of foot and always the first to get somewhere, have a go at something first. A bit like the hacker community like to have a go at something first, too. If I had to divide up all the things that people are into online nowadays, you’ll be with the hackers and with bitcoin, and with all the stuff that’s kind of on the edge, and maybe a bit edgy, and maybe not quite proven yet. And maybe it’s going to work, maybe it isn’t. You’ve always kind of had that experimental edge, which I think has been a strength and a weakness to Virtual DJ. Would you accept that that has been the case? It’s kind of been what you’re good at, but also sometimes it’s what turns people off the software? Stephane: Definitely, our philosophy is very different, and has been for the last 20 years, than the competitors. We always try to ask ourselves the question, “OK, I’m not mixing with CDs anymore, I’m mixing with a computer. And then what? What can it do more than a CD? What can it do more than vinyl? Because it’s a computer, for sure, there can be something more. And that’s why we try to say 10 years ago, “Maybe we can mix video,” and we started to mix video included in the software, and so people were scratching their vinyl, and it was scratching the video. And then say, “Oh, maybe we can do online catalogues so you can have all the music…” before Spotify even existed. We have a computer, we need to use this to not only carry a hard disc around but have all the music from the world at your fingertips. Then like, “OK, I’m in the booth, I’m mixing. I’m in the club..” – and most DJs, they spend two or three minutes listening to the song, and then start to mix. These two minutes, you need to use them for something useful. So, we made the Sandbox feature where they can prepare their mix. All the features that we put, it’s also gratifying for us to see that all the competitors, one or two years later, all of them take the features that we introduced. And what I was saying, it’s a different philosophy. People like Serato, they say “the vinyl can do this, we need to do exactly the same, and we need to be as close as the vinyl feeling as we can.” While we are always being like, “We don’t care about the vinyl feeling. We want to know, we have a computer in our hand. What cool stuff can we dream of doing with it that we couldn’t do with the vinyl?” So, it’s a very different approach. But at the same time, it kind of implies something not quite real, right? And that’s going to divide people down the middle. It’s going to turn some people off, and it’s going to really attract others. Stephane: We clearly see very clear separation in the market. And the market, digital market, is like a pyramid. And definitely Traktor and Serato, they have the tip of the pyramid and we have the base. Which I don’t mind, because it means I have a high-flying private jet and I make much more money, because the base is much bigger! While I’m coming and I’m saying, “Yeah, and we have this magic wand button. 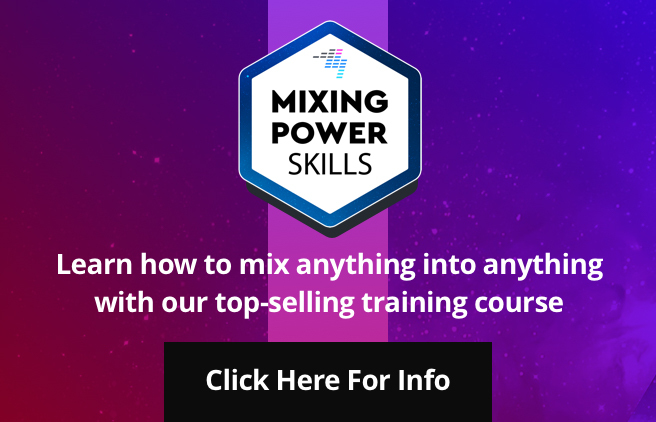 You click on it and in five seconds, you mix the same. 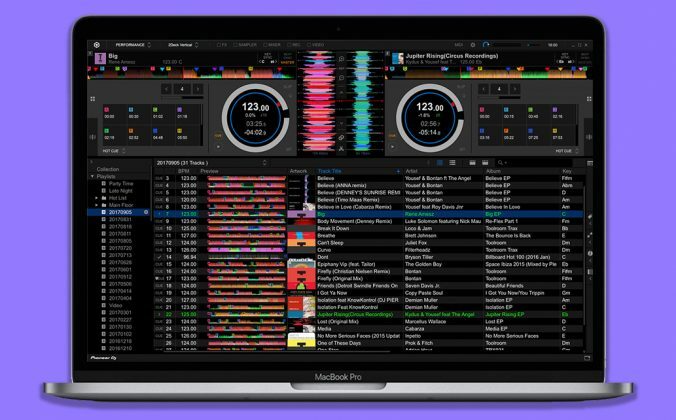 Of course, a pro DJ hear these two market messages he’s going to go directly to Serato because he wants to feel like everything he learned in the past 20 years is going to be useful in the software. So, that’s why we have this divide. And young DJs, they’re more like, “Yeah, of course, it’s so much easier with you to DJ, and we can do so much more.” And that’s why we’re getting a lot of them now. Phil: So, it’s interesting you should say that. We have exactly the same pyramid here at Digital DJ Tips. And we, as a company, aim for the people at the bottom towards the middle for similar reasons. The people who are getting to the top of that pyramid, they don’t need a training company, right? They know enough. But it’s interesting to hear you say that, beccause we use that analogy a lot. Another thing I guess is different about Virtual DJ is you don’t ask for permission to work with hardware. It’s in your DNA to make sure your software works with anything you plug into it, and I would say to the point where people would expect whatever they plug into Virtual DJ to just work. And I guess that kind of ruffles a few feathers along the way, as well. Would that be a fair thing to say? Stephane: Oh, yeah. We had a few hardware companies would try to lock us out, unsuccessfully, but yeah, where the competitors, they are having teams of lawyers doing agreements and we just do it. 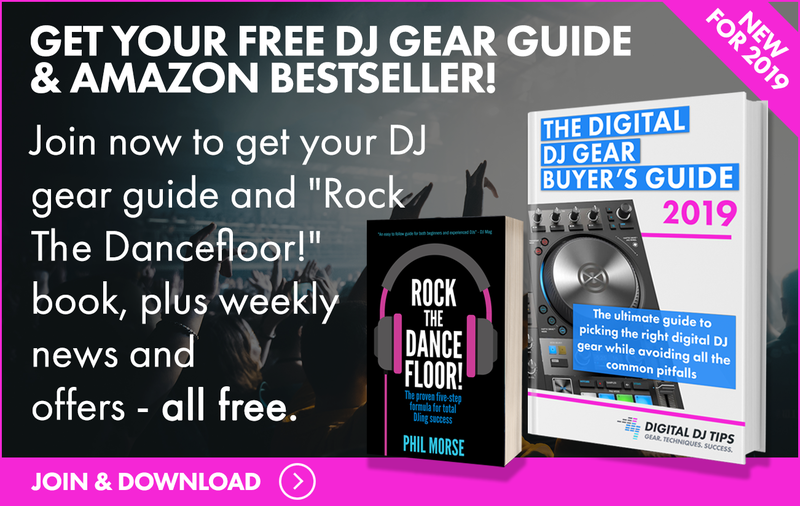 Because we’re not here to make the hardware companies happy, or to make the lawyers happy… we’re here to make the DJs happy. We work for the DJs. And it’s always been that way. 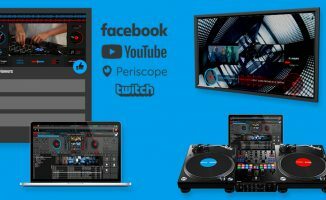 From the very beginning of Virtual DJ, the idea was, “I want to broaden the base of people who try DJing.” Twenty years ago, when we started Virtual DJ, nobody mixed on computers at this time, and if you wanted to be a DJ, you had to buy turntables, you had to put thousands of dollars upfront just to learn how to beatmatch. And maybe it wasn’t for you, and you give up, and you just lost a few thousand dollar. But I’m sure there were a lot of very talented DJs we never even tried, because they don’t want to put upfront all this money just to get started. 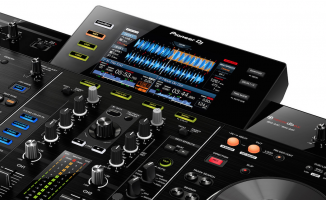 And now, with software, I’m proud to part of this revolution in digitalisation of DJing. Now, anybody can try. And a few of them who are going to be geniuses musically and are going to be the next future stars. Maybe they wouldn’t have tried without DJing software. Phil: So, I’m sure you don’t need me to point this out to you, but we hear it all the time from our crowd. Two things, really, “I started on Virtual DJ and I’m fond of it,” even from people who don’t use it any more. 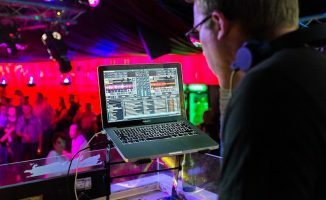 Another thing we hear is, “I want to keep Virtual DJ as a backup, because I know if everything else goes wrong, I can plug Virtual DJ in and it will not let me down. 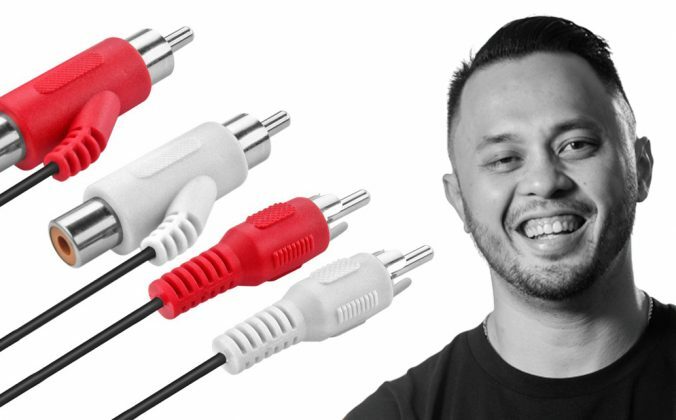 So, in a way, that kind of sums up the kind of challenge that you guys have, but also the strengths of you guys, even among people who have chosen for whatever reason, to go off in another direction, that they find it very hard to let go of Virtual DJ, having used it at some point in their career. Stephane: It’s two things that you said that I want to come back to. The first thing is, yeah, even people who use a competitor’s software, they have Virtual DJ as a backup. And the reason we have the lowest crash ratio in the industry is for a very good reason. You made the analogy with the hacker group in the beginning. We’re not hackers, but we try to focus on getting the best, genius programmers and we don’t put all our focus on getting the biggest marketing department. So, we’re a company that makes software, not marketing. We don’t try to get endorsement, we don’t spend millions in deals with partners. We spend all the money hiring the best minds that will make the best innovations and also make sure that the software is rock solid, because it’s built by the best programmers. And they spend countless hours reviewing every line of code because, again, we owe it to the DJ. We’re not here for the shareholders. I don’t have shareholders. We’re not here for the deals with companies. We’re here for the DJs, we want to make sure that we’re not going to let them down in the middle of a gig by having the software crashing. Phil: And as someone who’s worked, as you have, in this industry for many, many years … I think it’s just gratifying to see that there is room for everyone. There’s room for all the philosophies. There’s room for the marketing philosophy. There’s room for the software that wants to stay very close to the way it always used to be, and therefore stays quite conservative. And there’s room for someone like you, making innovative software that does ruffle feathers and does kind of upset people along the way. And I guess now, it’s too late to change, right? You know who your audience is, you know who it isn’t, and it’s just a case of taking it as far as you can in the direction you’re going in. Stephane: The philosophy is not going to change. I’m not trying to go after the customers from Serato and so on. Some say, “I like what I have because I don’t like change.” If they don’t like change, they shouldn’t be with us and we’re not going to go after them. But I’m confident that the more we go in the future, the more people will think the way we mixed with vinyl and CDs is dated. Ten years ago, it was just the normal way. But now it’s tough to be the old way. And the more it becomes the old way, the more people will flock to Virtual DJ and the more attractive it will be. Phil: Well, it’s great to hear you say that. And, as always, Virtual DJ carving its own niche and asking for forgiveness after the event rather than permission before it! Personally, it was the very first piece of DJ software I chose and paid for, back in 2004. And to your credit, I’ve never paid another penny, because every update has been free ever since. Which, again, is something you can’t say of everyone. Phil: It was certainly the best available in 2004 by a long way, and I tried them all very carefully. I was playing in clubs kind of like a week after I got it, using it. So, there you go! So, Stephane, it’s been great to hear the Virtual DJ side of the story in 2018. And thank you very much for your time. Anything else you want to add before we finish? Stephane: If you want to talk more about how I see the future of DJing? Stephane: So look at how the musicians’ industry in clubs evolved. 20 years ago, you would have a group on stage and they will plug all their guitars and drums and microphones. And they will perform like three, four songs, and then they will go and that was their performance in the club. 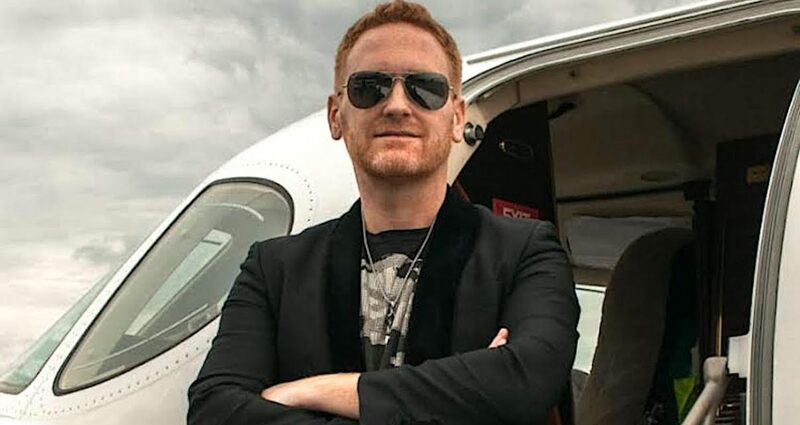 Nowadays, you go in any VIP clubs from Miami to Dubai, and you have a saxophonist, you have a drummer, and they’re in the middle of the audience, they’re playing wireless. The seats at the table with the VIP clients. They interact with the audience. DJs are going to go this way. It’s still very early. It’s not going to happen in the next two, three years. But in 10 years, I am sure you won’t find DJ booths anymore and all the DJs are going to be working among the audience, asking people, “What do you want next?” Sitting with the VIP clients to say, “What’s your preference?” Or maybe even let them put some effects, themselves. Being much more interactive. We are going to go more and more into interactive shows, and less and less the DJ in his booth. Phil: That’s an interesting prediction. Well, let’s see if that turns out to be the case! Stephane, thank you very much for your time today, for sharing your vision and answering all my questions, even the hard ones. And we wish you the very best of luck. Stephane: Thank you for having me and have a nice day. What did you think of this interview with Stephane Clavel, the founder of Virtual DJ? Let us know your thoughts in the comments.. 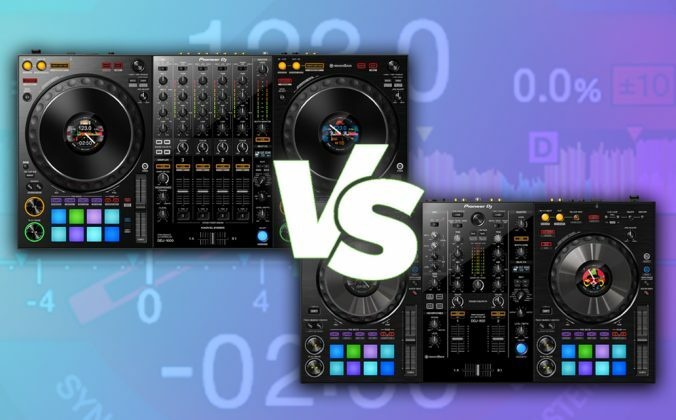 I would be really grateful if someone could explain to me why many people ‘choose to go off in another direction’, even when they fond of Virtual Dj, why there are apparently so many “people, even famous big names, who would say, “Yeah, I started on Virtual DJ.”…. ? I would interested to hear an explanation for this as it has always struck me using it as a very feature rich and stable software? Are there strong technical reasons for this drift that I have missed……. Is it really just because they don’t like the name? Good point re full-function demo, Tee. 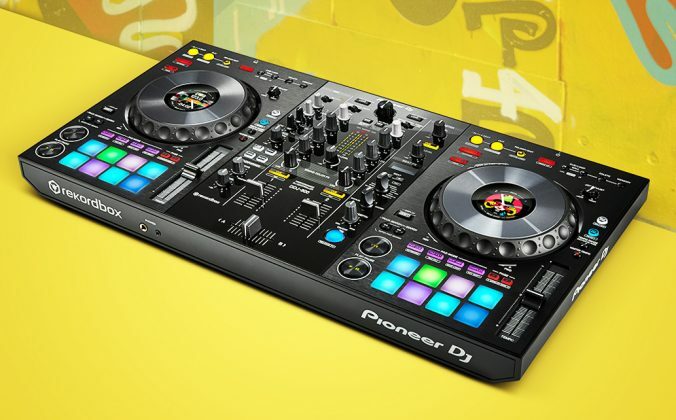 VirtualDJ lets you use any controller for free for 30 days. Just make sure that you created an account, and are connected to the internet, to start your free trial, and it’s all automatic. I am sure the Virtual Dj team will see your comment here, thanks for taking the time to write it! Hey Phil and Joey.This was indeed a very useful Interview. VirtualDJ is at its best moment in 2018 and Stephane is (and remain) open minded and optimistic. Let people share his vision, and passion! Glad you enjoyed it George.